It's a Mom Thing Reviews & More! : Give the Gift of New Jersey Lottery! Give the Gift of New Jersey Lottery! *This is a sponsored post on behalf of New Jersey Lottery. Instant tickets and compensation were provided. For as long as I can remember my grandparents and mom have given New Jersey Lottery tickets as gifts for some of the people on their list over 18! New Jersey Lottery has instant tickets that come in different themes and different price points! I love the holiday tickets! You can get these games in $1 Holiday Cheer, $2 Holiday Luck Times 10, $5 Holiday Sparkle, and $10 Season's Gold! Each of these games has a different way to play! Now the tradition of giving New Jersey Lottery instant tickets has passed down to me! Keep reading for some of my favorite ways to give the gift of New Jersey Lottery! 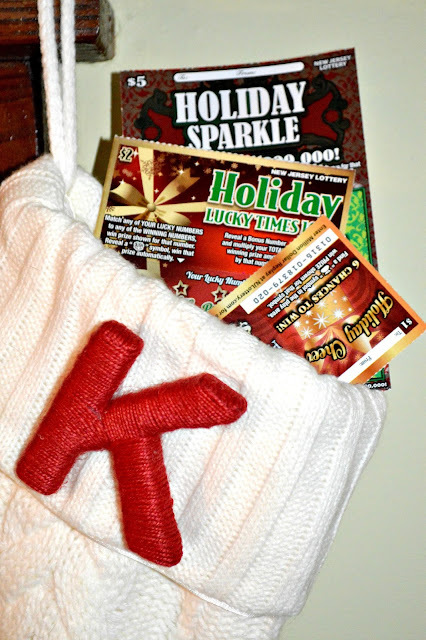 Stocking Stuffers - I love putting New Jersey Lottery tickets in stockings. They don't take up much room and don't cost much! Hostess Gifts - Around the holidays I am invited to so many holiday parties. The hostess never requests for me to bring anything but I enjoy giving them a little something for having me over. 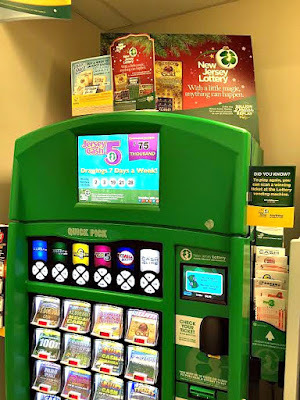 New Jersey Lottery instant tickets are a simple way to say thank you. Bosses - If you want to get something for your boss but are unsure of what to get them tickets from New Jersey Lottery is convenient and fun! Mail Services - During the holidays I get a ton of packages and a lot of mail. Because of this I like to thank my regular mailman and Fedex/UPS drivers with a small way to thank them for all of their work. 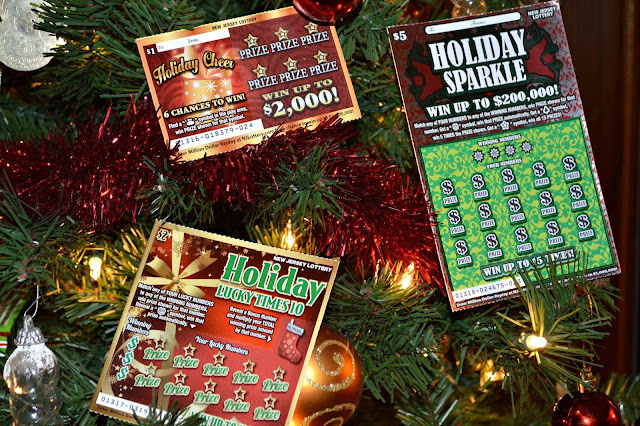 New Jersey Lottery tickets are the perfect universal gift that everyone will love. Teachers/Administration & Coaches - If you have children and want to get a gift for their teachers, administrators, or for their coach turn to NJ Lottery. You can give a mix of different tickets to add more fun! Secret Santa - When you do a Secret Santa you never know who you will get. Giving New Jersey Lottery instant tickets are the perfect gift for everyone! The recipient could even win big making the gift worth more than your price limit! 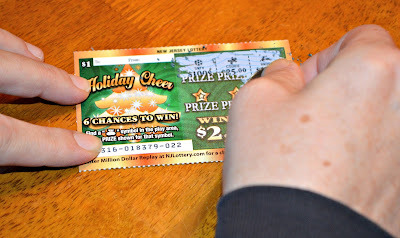 Party Favors - If you are hosting a holiday party and want to give your guests something to leave with NJ Lottery Holiday Instant tickets are perfect. You can choose which price of ticket works best for you. You can find New Jersey Lottery tickets at retailers such as 7-11, Quick Check, Wawa, and more! I love that in many of these retailers there is a machine to buy tickets! It makes shopping for Lottery tickets so quick and convenient! The best part of giving New Jersey Lottery instant tickets though - the prizes in the games can range from $2 to $1,000,000! This holiday season give a gift that everyone will love, turn to NJ Lottery! Learn how to make ornaments using NJ Lottery Holiday Instant Tickets! What would you do if you won on a NJ Lottery Holiday Instant Ticket?! Disclosure: Must be 18 or older to but a lottery ticket. Please play responsibly. If you or someone you know has a gambling problem, call 1-800-GAMBLER®. Parents are urged to think twice about gifting lottery tickets to children. Since I don't live in NJ I probably won't get one but if someone happened to send me one *hint hint* and I won I'd be over the moon.